YAH! Vineyard Vines is offering an Additional 30% Off Sale Styles with code SUMMER18 at checkout. 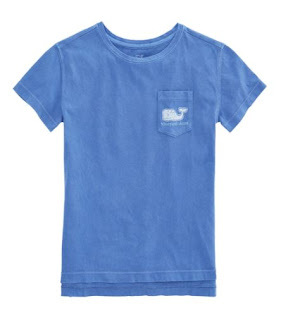 I'm stocking up on the Kids Popular Tees - like this Girls Two-Tone Vintage Whale Pocket Tee for $17.49 (Retail $29.50) - NOTE: the pink one coupon code did not apply. Although this deal ends 7/10 - shop now because styles and sizes are LIMITED.